March 26 is the 85th day of the year(86th in leap years) in the Gregorian calendar.There are 280 days remaining until the end of the year. 1484 – William Caxton prints his translation of Aesop's Fables . Maurice was Byzantine Emperor from 582 to 602. A prominent general, Maurice fought with success against the Sasanian Empire. 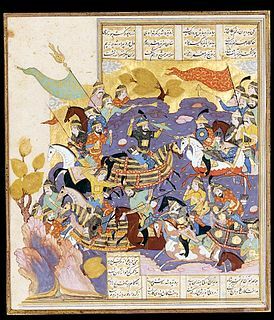 After he became Emperor, he brought the war with Sasanian Persia to a victorious conclusion. Under him the Empire's eastern border in the South Caucasus was vastly expanded and, for the first time in nearly two centuries, the Romans were no longer obliged to pay the Persians thousands of pounds of gold annually for peace. Theodosius was the eldest son of Byzantine Emperor Maurice and was co-emperor from 590 until his deposition and execution during a military revolt in November 602. Along with his father-in-law Germanus, he was briefly proposed as successor to Maurice by the troops, but the army eventually favoured Phocas instead. Sent in an abortive mission to secure aid from Sassanid Persia by his father, Theodosius was captured and executed by Phocas's supporters a few days after Maurice. Nevertheless, rumours spread that he had survived the execution, and became popular to the extent that a man who purported to be Theodosius was entertained by the Persians as a pretext for launching a war against Byzantium. Year 1031 (MXXXI) was a common year starting on Friday of the Julian calendar. Malcolm III was King of Scots from 1058 to 1093. He was later nicknamed "Canmore". Malcolm's long reign of 35 years preceded the beginning of the Scoto-Norman age. Henry I of England and Eustace III of Boulogne were his sons-in-law, making him the maternal grandfather of Empress Matilda, William Adelin and Matilda of Boulogne. All three of them were prominent in English politics during the 12th century. Pope-elect Stephen was a Roman priest elected pope in March 752 to succeed Zachary; he died of a stroke a few days later, before being consecrated a bishop. Therefore, he is not listed as a pope in the Annuario Pontificio. Harriet Monsell founded the Community of St John Baptist, an order of Augustinian nuns in the Church of England dedicated to social service, which by her death had expended to numerous houses, including in India and the Americas. She is now remembered in the calendar of saints in some parts of the Anglican Communion on 26 March. Saint Castulus is venerated as a martyr. According to tradition, he was the chamberlain of Emperor Diocletian and the husband of Irene of Rome, also venerated as a saint. Saint Emmanuel, was arrested and executed with 42 other martyrs, including Quadratus (Codratus) and Theodocius, in 304 as part of Diocletian's persecution of the Christians. Their feast day is 26 March. Felicitas of Padua is a saint in the Roman Catholic Church. She lived in the ninth century, and was a nun in Padua, probably at the convent of Saints Cosmas and Damian. Her relics are now in the Basilica of Saint Justina, Padua. November 29 is the 333rd day of the year in the Gregorian calendar. 32 days remain until the end of the year. ↑ "What to Know About French Feminist Julie-Victoire Daubié". Time. Retrieved 2019-01-29. ↑ "Angela vom Heiligen Herzen Jesu Autsch - Ökumenisches Heiligenlexikon". www.heiligenlexikon.de (in German). Retrieved 2017-10-24. ↑ "Mujeres andaluzas. Biografia. Mujer historia feminismo Andalucia". www.historiamujeres.es (in Spanish). Wikimedia Commons has media related to March 26 .